Professor Arka Majumdar received his Bachelor of Technology degree from the Indian Institute of Technology, Kharagpur, in 2007, where he was honored with the Gold Medal from the President of India. Majumdar completed his master’s degree (2009) and Ph.D. (2012) in Electrical Engineering at Stanford University, working on solid-state quantum optics. He spent one year at the University of California, Berkeley, (2012-13) as a postdoc before joining Intel Labs in Santa Clara, Calif., to work on next generation electro-optic modulators and optical sensors (2013-14). Majumdar accepted a faculty position at the University of Washington, Seattle, in the Electrical & Computer Engineering and Physics departments in August 2014. His research interests include combining emerging nano-photonic devices with computational algorithms to build compact optical sensors to support the growing Infrastructure of the Internet of Things. 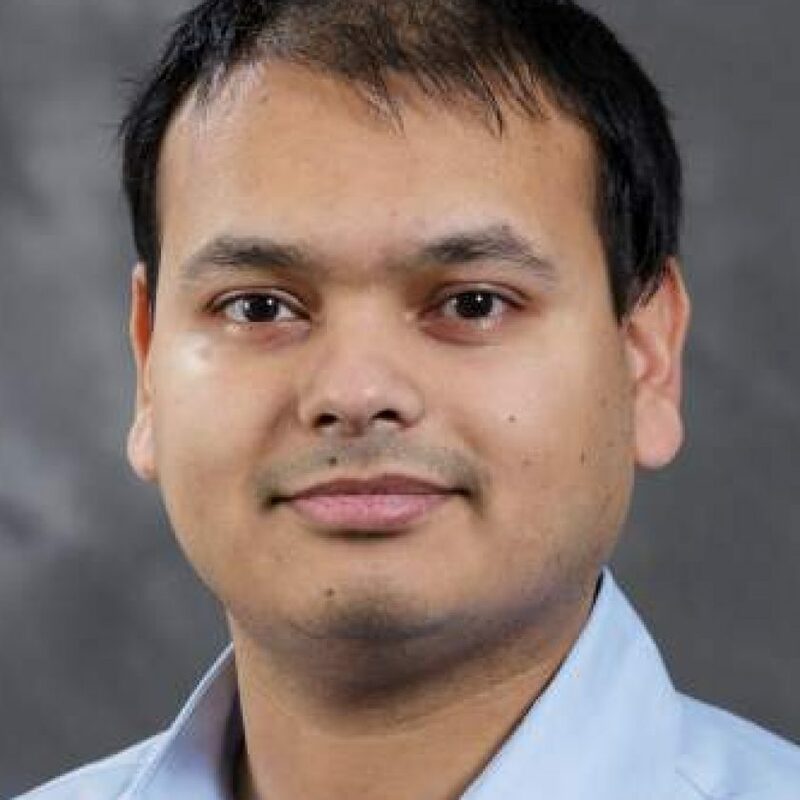 Majumdar is a recipient of a 2014 Young Investigator Award from the Air Force Office of Scientific Research and 2015 Intel Early Career Faculty Award. Nanophotonics; dielectric metasurfaces; miniature optical sensors. Cavity-Enabled Self-Electro-Optic Bistability in Silicon Photonics, Arka Majumdar and Armand Rundquist, Optics Letters, Vol. 39, Iss. 13, pp. 3864-3867 (2014). Monolayer semiconductor nanocavity lasers with ultralow thresholds, Sanfeng Wu, Sonia Buckley, John R. Schaibley, Liefeng Feng, Jiaqiang Yan, David G. Mandrus, Fariba Hatami, Wang Yao, Jelena Vuckovic, Arka Majumdar and Xiaodong Xu, Nature, 520, 69-72, (2015). Low Contrast Dielectric Metasurface Optics, Alan Zhan, Shane Colburn, Rahul Trivedi, Taylor Fryett, Christopher Dodson, Arka Majumdar. Cavity enhanced second-order nonlinear quantum photonic logic circuits, Rahul Trivedi, Uday K Khankhoje and Arka Majumdar. Cavity Enhanced Nonlinear Optics for Few Photon Optical Bistability, Taylor K. Fryett, Chris Dodson, Arka Majumdar, Opt. Express 23(12), 16246-16255 (2015).